Intrigued by the beauty and versatility of the dahlia, Mark Harvey started growing several varieties of this resilient flower in his Portland backyard in 2006. Today, he offers more 200 varieties of dahlias that, until recently, Portlanders could buy right from his front doorstep. However, when the demand for dahlias became too great to accommodate from within city limits, he moved the farm to 14 acres in Tillamook. Enjoy cut flowers or get tubers to grow at home. 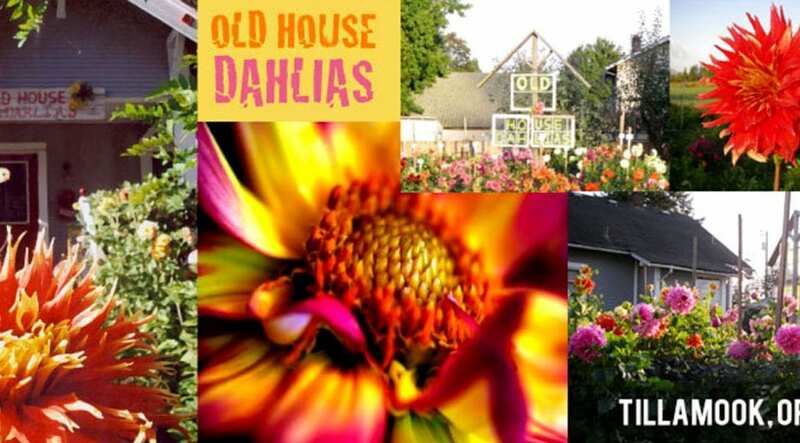 Be sure to visit during the Dahlia Fest on two weekends, August 31 – September 1, and September 7 – 8. Learn about growing dahlias and their culinary uses (try thinly sliced raw tubers on salads). See the varieties in bloom and place orders for the following growing season. Or visit during October for the Pumpkin Patch festival. August through October, Saturday and Sunday, 10am to 5pm (self-serve Monday through Friday).